American actor Chandler Riggs made a breakthrough after the release of the apocalyptic zombie film The Walking Dead. The role of Carl Grimes made the young man worldwide famous, while his peers can only dream of it. Grimes is the hero of the Carl! memes and has become the idol of teenagers, as evidenced by the actor's accounts on the social network. 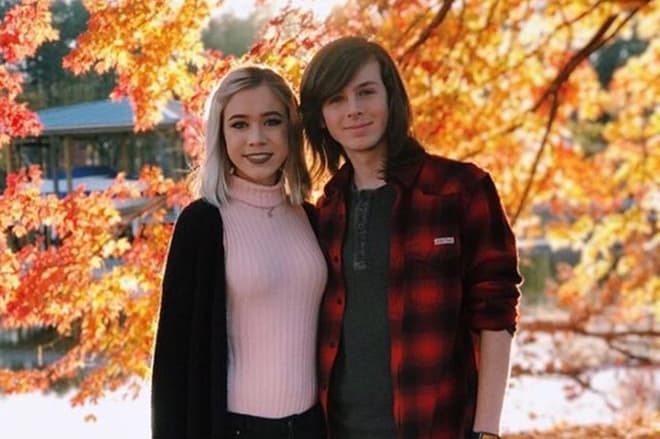 The number of Chandler Riggs’s subscribers on Instagram exceeded 3 million, and fans in all parts of Russia, Europe, and America, where the highly-rated series is broadcast, closely follow the details of the young man’s biography and personal life. 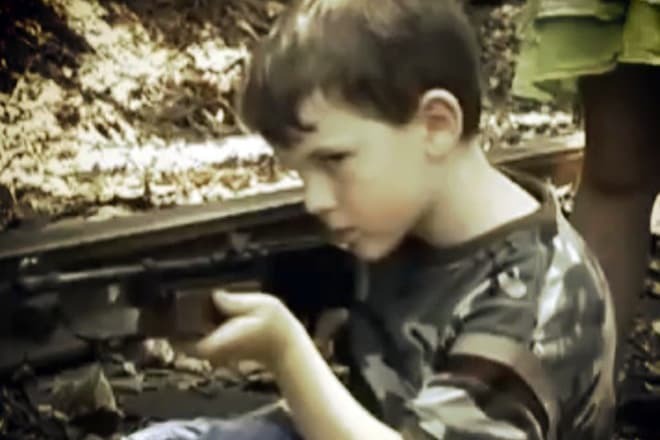 Chandler Riggs was born in Georgia in the summer of 1999. The star of The Walking Dead spent his childhood in Atlanta. The boy lives in a creative family. Chandler's parents, Gina Ann and William Riggs, are professional actors. The mother studied the basics of dramatic art at the University of Georgia. She made her debut on the theatre stage, and later appeared on television playing bit parts in soap operas, but the name of the actress remained unknown to film lovers. Nowadays Gina Ann is the leading actress of the theater in Atlanta. Chandler Riggs has repeatedly invited fans to visit his mother’s performances. The father has not become a very popular actor, but his music career is quite successful. William and his rock band Jillhammer have concerts in Atlanta and Woodstock. The first children of the artists could surpass their parents, having made their ambitious dreams come true at a young age. The youngest son, Grayson, has managed to resist the temptation and the magic of acting because the boy is interested in American football and has not yet shown a desire to come on stage. As a child, Chandler Riggs was fond of cinema thanks to the horror film The Mist. The mother supported her son and showed him the theater world. The boy learned to tap dance, played the drums and soon appeared on the set of the series and the stage of the Fox Theater in Atlanta. 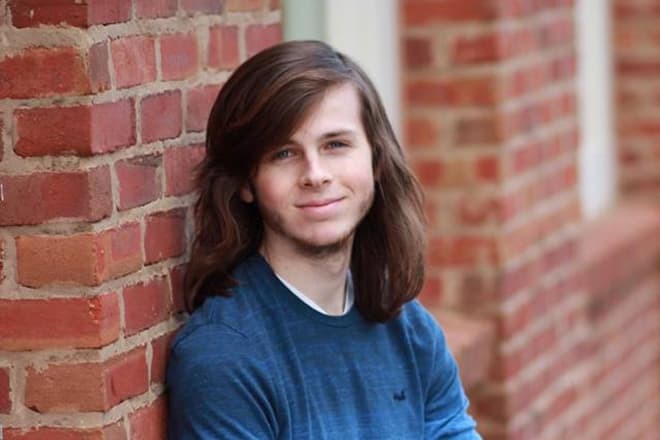 While improving his skills, Chandler Riggs combined his studies at school with acting classes. 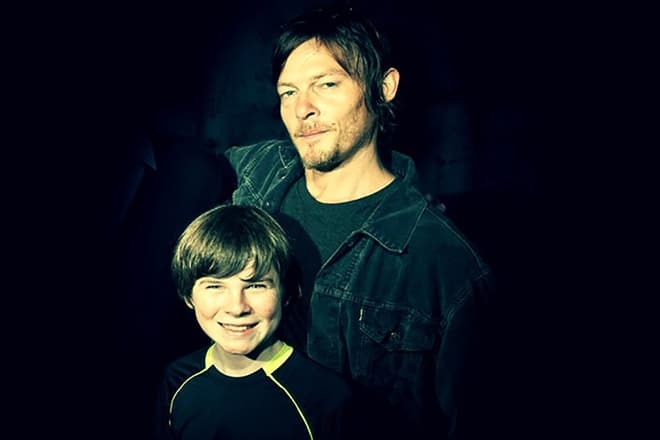 Chandler Riggs started his acting career in 2006 when the boy was seven years old. He made his debut in the episode of the fantasy horror series Jesus H. Zombie. The film was not highly rated and did not make the young artist famous, but Chandler had an acting experience on the set. In 2009, Chandler Riggs got a more prominent role of Tom in the detective film Get Low directed by Aaron Schneider. The 10-year-old artist worked on the set with Oscar winners Robert Duvall and Sissy Spacek. It is a drama film about an eccentric gentleman who organized his own funeral to amuse other people. The following year, the 11-year-old actor starred in the drama The Wronged Man directed by Tom McLoughlin. Outstanding Julia Ormond played the title female character in the project, and Chandler Riggs got the role of her son, Ryan. 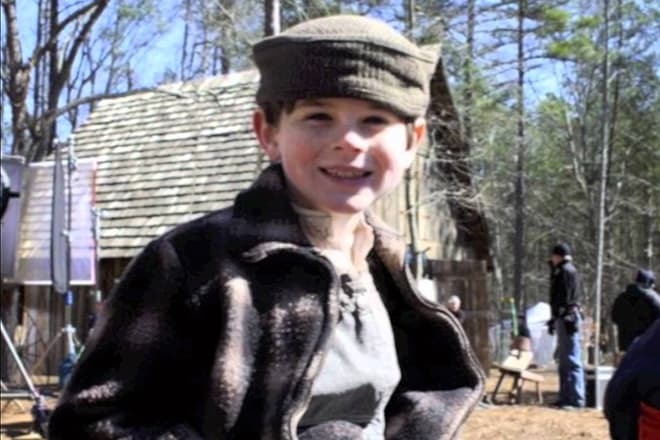 Chandler Riggs benefited from the shooting in two significant projects with Hollywood masters. Producers noticed the talented teenager with blue eyes and freckles. The boy performed confidently in front of the camera and showed a virtuoso acting. In 2010, the parents took Chandler to the auditions of the grand project, directed by the Hollywood master, Frank Darabont. To appear in the film of the director of the movies The Shawshank Redemption and The Green Mile was equal to a big lottery prize. 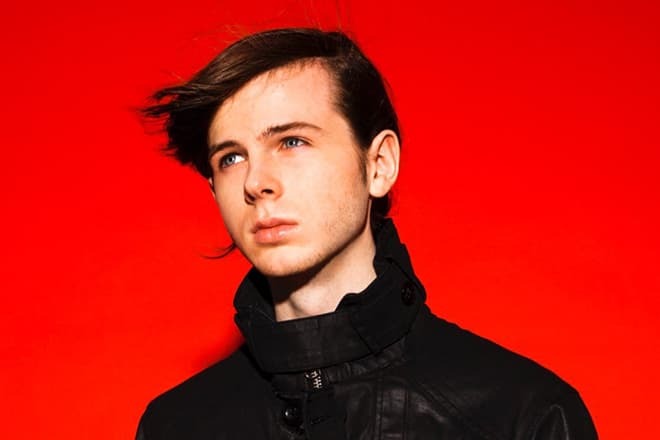 There were hundreds of candidates for the role of young Carl Grimes in the post-apocalyptic drama The Walking Dead, but Chandler Riggs got it. Carl is the son of Sheriff Rick Grimes. The boy grew up in front of viewers. Chandler's hero developed physically and improved his skill, because the project The Walking Dead became mega-popular, and the director shot a season after a season for seven years. Chandler Riggs played Carl in all eight seasons. Darabont’s series tells a fantastic story about a severe epidemic in the world. Infected people die, but soon become zombies. Carl is one of the few inhabitants who managed to avoid infection and survive. He survived the death of his mother and friends and fought zombies that have invaded the planet. 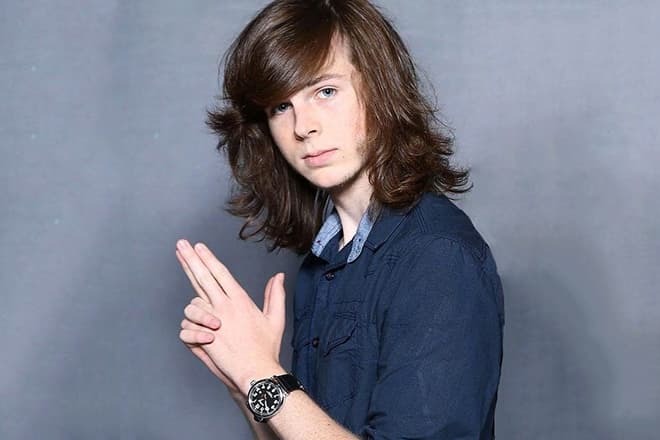 Chandler Riggs admitted that the role of Carl was not easy, because in real life the teenager is very different from the movie hero. But the young actor felt more and more confident watching the acting of the series stars Andrew Lincoln, Jon Bernthal, Sarah Wayne Callies, and Laurie Holden. The shooting schedule was so tight that the pupil had to be home-schooled. Chandler Riggs has repeatedly appeared in public with his senior colleagues Norman Reedus and Lennie James. At press conferences, the actors satisfied the curiosity of fans with stories about the heroes’ future in the movie about zombies. In the first cast of the project, Riggs met a young colleague, Katelyn Nacon, who played Enid. The photos with the girl appeared on his Instagram and Twitter pages. In 2012 and 2013, Chandler Riggs was nominated for the Young Artist Award for Best Performance in a TV Series - Leading Young Actor. In 2014, the young man won this prestigious award. The same year, Riggs won one more prize, the Saturn Award. In 2016, Chandler received the second Saturn Award for Best Performance by a Younger Actor in a Television Series. The work in the highly rated project helped the artist’s development. In 2014, he was offered to play the leading roles in two full-length films: the horror film Keep Watching directed by Sean Carter and the thriller Mercy shot by Peter Cornwell. The latest project, based on Stephen King's short story "Gramma," tells about an elderly woman with supernatural powers. 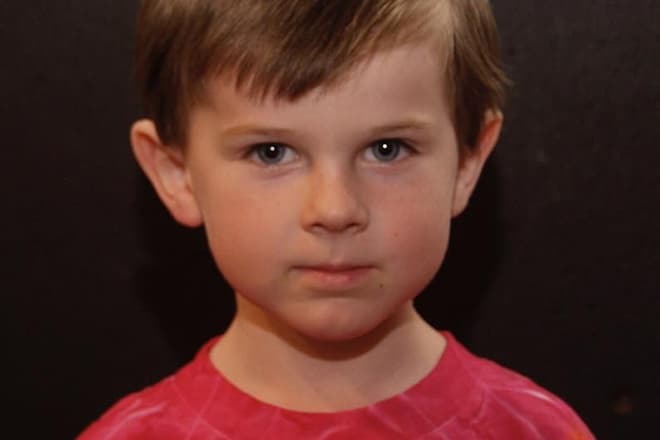 Chandler Riggs portrayed her grandson. The thriller Keep Watching premiered in 2017. This film tells about the adventures of the family that were held hostage in their own house. Chandler Riggs appeared in the drama as John Mitchell. In the autumn of 2017, the 8th season of The Walking Dead premiered, where fans saw Chandler Riggs as Carl again. In 2017, the actor was nominated for the Saturn Award again. The height of the young star is 1,71 meters. 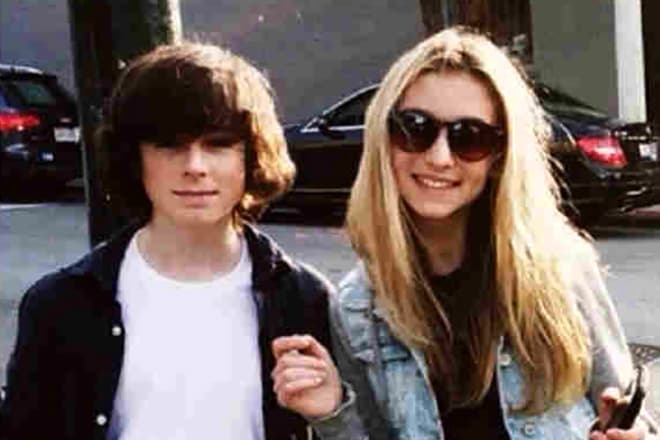 Despite his young age, Chandler Riggs has already had several love affairs, which is not surprising. There are rumors that he has more fans than Justin Bieber. Riggs met a model and colleague, Hana Hayes, on the set of the project Mercy. They were friends for a year, and then began a relationship, which was closely followed by Chandler’s fans. Their relationship ended in a year and a half. The couple broke up, but the young people remained friends. 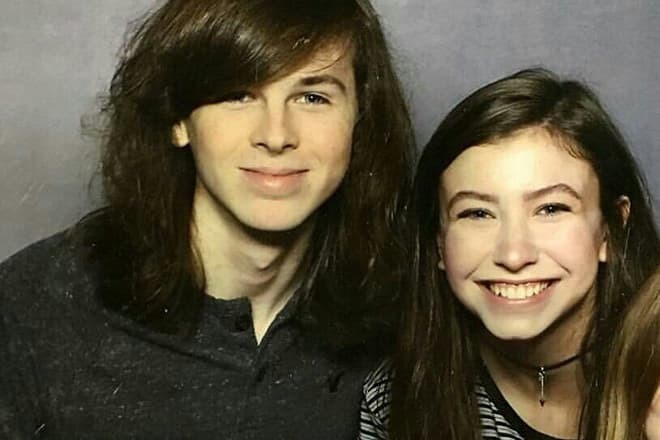 In the summer of 2015, Chandler Riggs pleased his fans appearing in public with young beautiful Brianna Maphis. In August, the actor posted the photo with Brianna on his Instagram page, wrote the message that the couple had already been dating for a year. Brianna came together with Chandler Riggs to the graduation party. Riggs's parents approved the choice of their son. The young man wrote about it on Instagram, telling his subscribers that his mother was fond of Brianna. The girl shares Chandler's hobbies. In 2016, Maphis debuted in the school play Alice in Wonderland. At the end of 2017, there was information that Riggs left the series. According to the screen version, his hero, Carl, was bitten by a zombie, and he died. 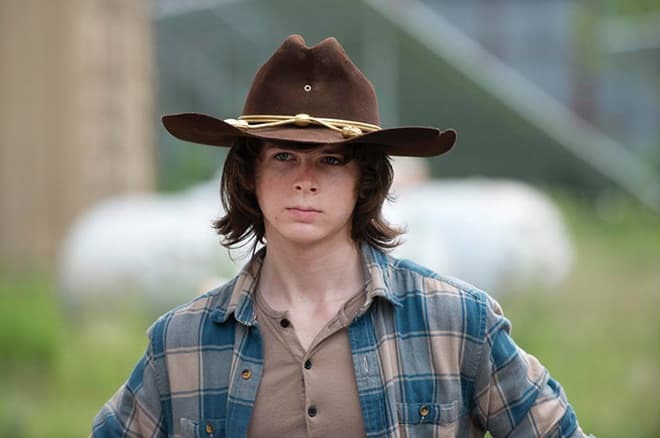 Chandler Riggs assures that Carl Grimes’s death is a part of the plot, rather than his desire to leave the project. It should be mentioned that Chandler has devoted to the project seven years of his life, filming from 11 to 18 years in 8 seasons of The Walking Dead. The last episode with Riggs will be released in late February 2018. In 2018, Chandler Riggs wants to enter college, but he will not refuse tempting offers and new roles.